I finally agreed to my children asking for a pet and we now have two extremely cute and fluffy rescue kittens, a ginger boy and a black and white girl who have just joined our family. At the moment, all the caring is being done by my wife and two daughters, but my thoughts are turning to what our feline friends will need in the future with regard to having their coats maintained by a specialist cat groomer. I understand that cats need to build trust with their groomer over time. Through my initial research I find it’s important to introduce kittens to grooming in short sessions in order for them to become accustomed to a full groom as an adult (when it can take around one hour). I’m meeting Jan Littlemore from Catskingdom Mobile Cat Grooming who is a Master Cat Groomer based in Cobham, Surrey. Jan has built up a first class reputation in her field. I begin by asking her why she only grooms cats in their own homes. “Well Tim, you may know that cats are territorial animals and don’t like being taken out of their own environment. Car journeys to a grooming salon can make cats stressed before the groom has even started. “Grooming a cat can be made more difficult if they are feeling scared because they are in an unfamiliar environment with unfamiliar smells. When I groom a cat in their own home I try to make the experience as relaxing as possible. Jan says that customers are surprised at this response. I then asked Jan whether I credentials of cat groomers should be checked. I finish by asking Jan how often long-haired cats should be groomed and whether short haired cats also need grooming. 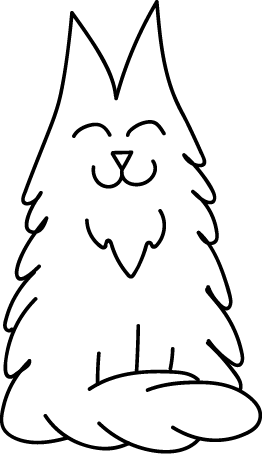 “I generally advise longhaired cats to be professionally groomed every 2-3 months to keep mats and tangles at bay and help to keep the skin as well as the coat in good condition. If cats are elderly and unable to groom themselves their coats may become matted without regular help from owners and a professional groomer. I also see a lot of elderly short haired cats whose coats have needed to be de-matted. All cats whether long or short haired benefit from professional grooming especially during the moulting season to prevent them swallowing excessive amounts of hair which can lead to digestive problems and of course to cut down on hair being deposited on your furniture and clothing! 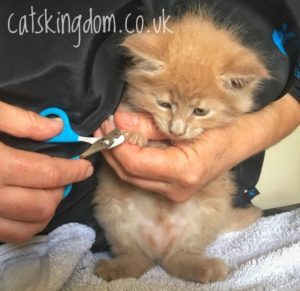 As I watch my two new kittens playing, I realise that their grooming will now be in safe hands with Jan at Catskingdom mobile cat grooming which covers New Malden and all of Surrey and South West London. Tim Mitchell is a journalist and has written for numerous veterinary publications over the years. This entry was posted in Caring for Your Cat, News and tagged cat groomer new malden, cat grooming new malden.